One doesn’t need a reason or a season to celebrate a festival, especially in the temple city of Orissa – Bhubaneswar. 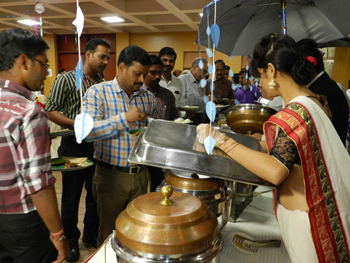 Ranjita Institute of Hotel Management, Bhubaneswar, celebrated the Monsoon fish festival in the eco-friendly campus on 31st August, Wednesday, to tantalize the taste bud of its guests. 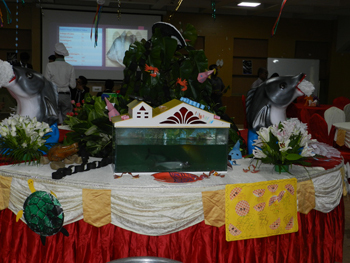 Organized by the students with the guidance of the Mentors, was showcased with a monsoon theme, displaying twenty five varieties of fishes. Eminent personalities from Hospitality Industries and academicians from Hotel Management & Tourism Colleges were the key guests of this function, making it a colourful and a gorgeous one, an affair to remember. The fish lovers relished the fish delicacies like bhapa hilsa, patudi, chilly fish, thousand island fish salad, mach patra poda, mach besar, fish cutlet, seafood coriander to name a few. The students got an opportunity to showcase their skills and creativity and guests too had got a change to make a difference in their taste bud & enhancing their appetite. 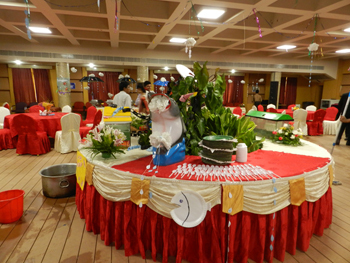 A one-day affair with variety of fish preparations on the lunch palate was the highlight of the day and students came up with special attire to suit the theme and it was a great achievement for the fraternity of Ranjita Institute of Hotel management. 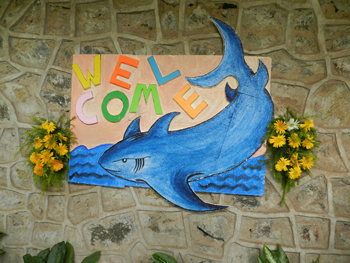 A festival celebrated very keenly by everyone – as if we all fished through monsoon. At last chairman of the group Er. 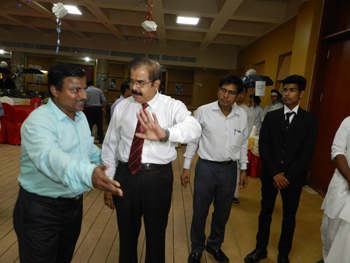 Sanjib Kumar Rout and Principal Mr. Susant Ranjan Chaini thanked all the guests for their support & due to which this event was a grand success.